Chillies are not only the easiest plant other than weeds to grown in any garden, they are also very giving. One chilli plant alone will give you season long (if not longer) growth; enough to have an abundance of chilli in every meal. But you’ve got to ask, “how will I get through all of these chillies?” There are far too many to eat – in the traditional sense, that is. So why not jam with them. 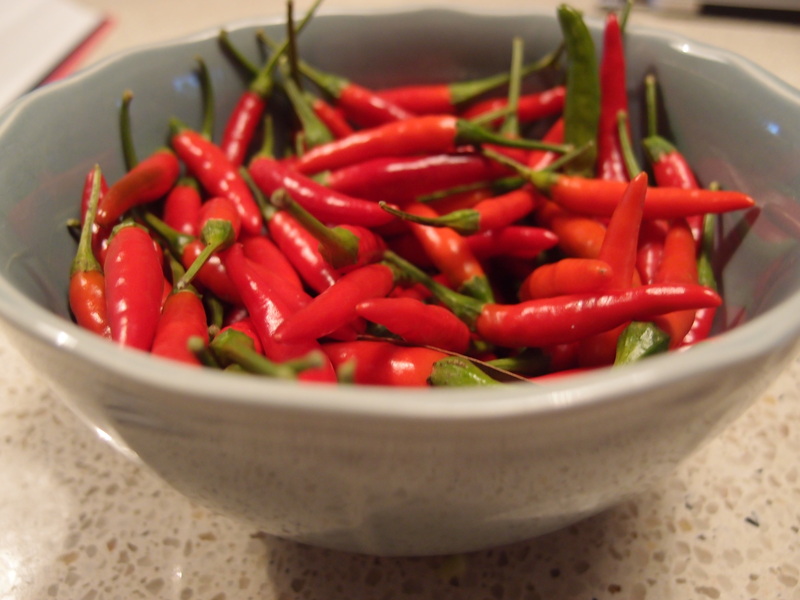 Chilli Jam is as easy as counting your pennies and requires very few ingredients. If you’re the fiery type, prepared to burn the roof of your mouth and sizzle off your tastebuds then keep the seeds in for an extra zing. If rather, you prefer a hint of spice much the same as a capsicum offers, then be sure to de-seed your chillies before you get started. To get the absolute accurate level of adequate heat, try sampling your chillies fresh from the bush to get a real measure of its burn. Chop the chilli, onion and apple. For a chunky jam add straight to a saucepan on medium heat. If you want more of a pureed jam, pop into a food processor until smooth, then add to a saucepan on medium heat. Brown ever so slightly (for about a minute) and add the lemon juice, zest, sugar and vinegar. Bring to the boil, on high heat. Once the mixture is bubbling and the sugar has dissolved, reduce to a low heat and simmer for two hours, remembered to stir occasionally. The mixture will reduce significantly and the liquid will evaporate. 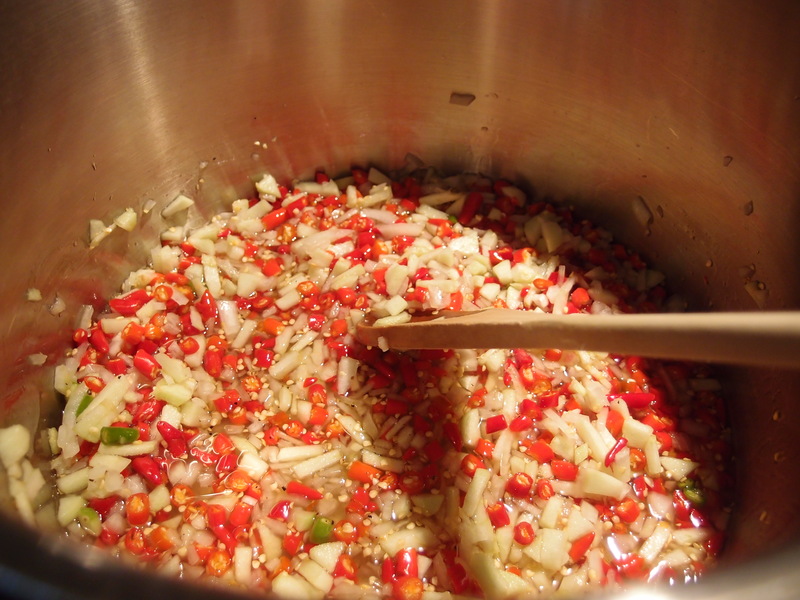 To prepare the jars, boil the lids in three cups of water in a large size saucepan. It is important to do this, so that the jam stays fresh and can be stored for up to 12 months. In the meantime, wash jars and leave damp on a baking tray and put into the oven at around 180 degrees Celsius for around 15 minutes. Remove the jars and allow them to stand but not get cold. Once your mixture has simmered for two hours, and reduced, take it off the heat and immediately transfer into your warm, sterilised jars. Screw the lids on tightly, to lock in the freshness. Leave on the bench to cool. 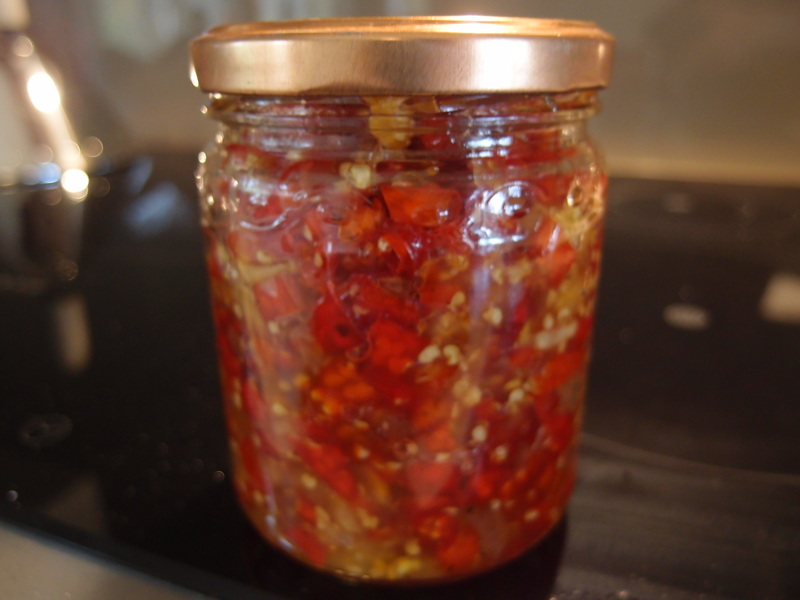 This chilli jam is a great addition to breakfast eggs, sandwiches, Thai style noodles and Mexican burritos. The jam is quite sweet, especially if your chillies are mild. If you’re not a sweet tooth, try reducing the amount of sugar you add to the mixture. This mixture makes about five jars and can be stored for up to 12 months.